I try my best to ensure my patterns go out error-free, but mistakes do happen, no matter how carefully a pattern’s been tech edited or how many times it’s been test knit. 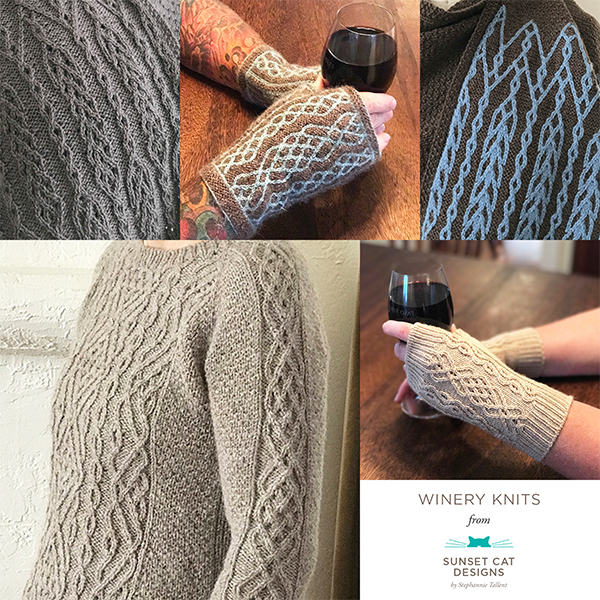 If you purchase the pattern through Ravelry, I will always post a revised pattern PDF and will notify you through Ravelry PM and your paypal email address as soon as possible via Ravelry’s update buyers system. Please understand if you purchased a third party pattern or book before rights to the pattern were returned to me, I cannot give you a free copy of the current self published pattern. I will always include errata on this page so you can have it for your reference, though! Please email me if you find any errors not noted below or have any suggestions on my patterns! All self-published cowl patterns with errata are listed below in alphabetical order. 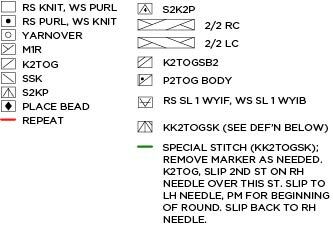 All errata noted below has been corrected for versions on Ravelry, Craftsy, Patternfish, Love Knitting, and Knit Picks as applicable. 11/14/14: Missing bracket from stitch repeat added (bolded, right). ROUND 2: [K2tog, k2, kfb twice, k3, ssk] to end. 11/17/14: Only US6 needles are used. 05/03/2018: Missing sl1 from key. Corrected key below. Cast on 162, not 216. Round 20: K2, yo, k2tog, yo, k1, yo, k2, ssk, k3, k2tog. Round 22: K1, yo, k2tog, yo, k3, yo, k2, ssk, k1, k2tog, k1. Round 24: K2, yo, k2tog, yo, k1, yo, k2, ssk, k3, k2tog. Round 26: K1, yo, k2tog, yo, k3, yo, k2, ssk, k1, k2tog, k1. Round 28: Yo, k2tog, yo, k5, yo, k2, k3tog, k2.